Situated in the heart of Lakes Entrance. Re-developed New Powered Sites, Leisure Homes & one of the Best Camp Kitchens you’ll find anywhere. Woodbine Tourist Park is known as the "Quiet One". It has generous grassy areas and trees. It is the idyllic holiday destination with the dazzling Gippsland Lakes on your doorstep. 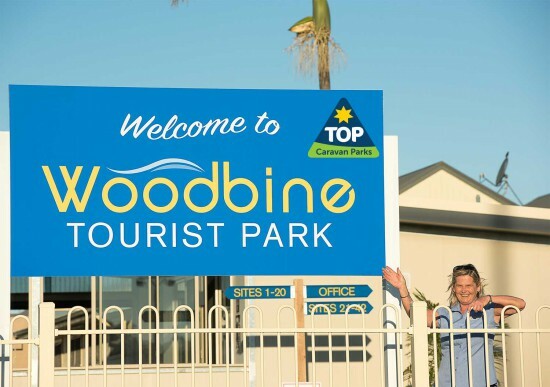 Escape the bustle, come and enjoy a relaxing getaway with friendly service and impeccable facilitates at Woodbine Tourist Park. Enjoy the Ninety Mile Beach, Chartered Cruises, or just a relaxing bush walk while staying in one of our En-suite equipped fully self-contained cabins, Caravan sites, or just set-up a tent.